TORONTO, March 19, 2019 /CNW/ – Eco (Atlantic) Oil & Gas Ltd. (AIM: ECO, TSX-V: EOG), (“Eco”, “Eco Atlantic”, “Company” or, together with its subsidiaries, the “Group”) the oil and gas exploration company with licences in highly prospective regions in Guyana and Namibia, is delighted to announce that Gustavson Associates LLC (“Gustavson”) of Boulder Colorado, a qualified reserves evaluator as defined in National Instrument 51-101 – Standards of Disclosure for Oil and Gas Activities (“NI 51-101”), has completed and delivered an updated resource report (the “Report”) on the Orinduik Block offshore Guyana (“Orinduik Block”), effective March 15, 2019. This report is the second on Eco Atlantic’s Orinduik Block and follows the completion of the 3D processing and an additional six months of interpretation work. It supplements and updates the interpretation of the previous Report announced on 11 September 2018. Following the completion of the processing of the 2,550 km2 3D seismic program and the reported regional Tertiary aged discoveries, including Exxon’s Hammerhead discovery, the company and its partners (Tullow â 60% Operator, Total â 25%, Eco â 15%) have completed a further extensive evaluation and risking exercise on the leads and targets on the Orinduik Block following review and analysis of this additional information. Gustavson has independently updated the previously announced P50 Best estimate of the Gross Unrisked Prospective Resources within the Orinduik Block. The updated Report estimates an increase in Gross Unrisked Prospective Resources P50 (Best) to 3,981.9 MMBOE on the Block, implying Net (15%) 597.3 MMBOE to Eco, identified across a total of 15 Leads on the Orinduik Block..
A link to the full Report can be viewed online at www.sedar.com and is also available on the Company’s website: www.ecooilandgas.com. Jan Joseph Tomanek, Vice President of Gustavson Associates LLC, has reviewed the technical information contained within this announcement. Jan Tomanek is an American Association of Petroleum Geologists Certified Petroleum Geologist and an American Institute of Professional Geologists Certified Professional Geologist and has over 35 years’ experience in the oil and gas field. All Reserves and Resources definitions and estimates detailed in this announcement are compliant with the Canadian Oil and Gas Evaluation Handbook and in accordance with NI 51-101. In Guyana, Eco Guyana holds a 15% working interest alongside Total (25%) and Tullow Oil (60%) in the 1,800 km2 Orinduik Block in the shallow water of the prospective Suriname-Guyana basin. The Orinduik Block is adjacent and updip to the deep-water Liza Field and Snoek, Payara, Pacora, Turbot, Longtail and Hammerhead discoveries, recently made by ExxonMobil and Hess Corporation. The more recent discovery by ExxonMobil and Hess Corporation, Pluma-1, increased the estimate of recoverable resources for the Stabroek Block to more than 5.5 billion barrels of oil equivalent, and the latest discoveries at Tilapia-1 and Haimara-1 will further add to that estimate. In Namibia, the Company holds interests in four offshore petroleum licences totalling approximately 25,000km2 with over 2.3 billion barrels of prospective P50 resources in the Walvis and LÃ¼deritz Basins. These four licences, Cooper, Guy, Sharon and Tamar are being developed alongside partners Azinam and NAMCOR. Eco has been granted a drilling permit on its Cooper Block (Operator). Gustavson Associates LLC (“Gustavson”) is an international oil, gas, and mining consulting firm consisting of professional geologists, engineers, economists, and appraisers. Gustavson has acted independently in the preparation of this Report. The company and its employees have no direct or indirect ownership in the property appraised or the area of study described. The fee for the Report and the other services that may be provided is not dependent on the amount of resources estimated. Gustavson has the relevant and appropriate qualifications, experience and technical knowledge to appraise the assets professionally and independently. Gustavson considers that the scope of the Report is appropriate and includes and discloses all information required to be included therein and was prepared to a standard expected in accordance with the AIM Rules. “Prospective Resources” are the quantities of petroleum estimated, as of a given date, to be potentially recoverable from undiscovered accumulations by application of future development projects. 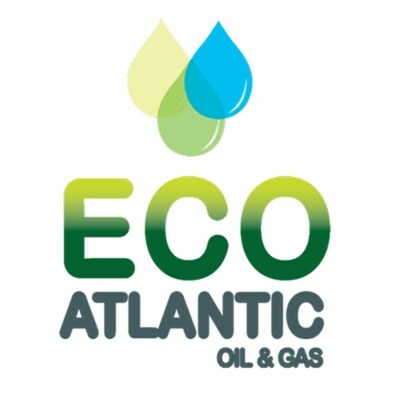 SOURCE Eco (Atlantic) Oil & Gas Ltd.